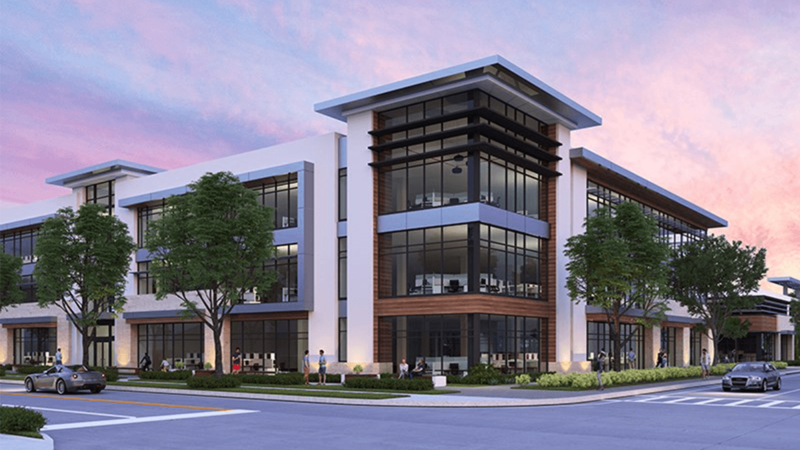 Completing a demolition has cleared the way for the development of a new $40 million, 116,000-square-foot medical office building next to Baptist Hospital of Miami, according to AJP Ventures and Mas Group, the project’s owners and developers. The site is at 9408 S.W. 87th Ave. and 8790 S.W. 94th St., essentially across the street from Baptist Hospital, a 650-bed facility that’s one of metro Miami’s largest hospitals. The three-story MOB, called MedSquare Health, reportedly will be the first off-campus Class A medical office building to be developed in the Baptist Hospital submarket in more than 20 years. Groundbreaking at the 4.5-acre site, where a synagogue formerly stood, is scheduled for Feb. 20. The design by Modis Architects, of Miami, reportedly will emphasize natural light throughout the building with floor-to-ceiling glass windows. Amenities will include an attached two-story parking garage with available valet parking, an on-site café and shared conference room space. The building is intended to be LEED certified. Cushman & Wakefield Managing Director Gordon Messinger will lead leasing at the property. Asking rent for the office space is in the low $40s per square foot net. Nationwide, the ongoing increase in demand for outpatient services is helping to keep the MOB sector healthy, according to a second-half 2018 report from Marcus & Millichap. Average vacancy remains around 8.2 percent nationally, near a 10-year low. The Southeast is one of the stronger regions, with about 1.8 million square feet in MOB deliveries from mid-2017 through mid-2018, again per Marcus & Millichap. In December 2018, Jeremy Burton, director of originations at Calmwater Capital, described for Commercial Property Executive’s readers why, in some ways, lenders see MOB assets as sharing characteristics not only with typical office space, but with retail properties. And in March 2018, CPE took a long look at why institutional investors should consider adding MOBs to their portfolios.